I am so excited to be able to say that the episode I saw at the taping back in May has finally aired! It was so surreal for me to watch it on TV knowing I saw the scenes actually being filmed live. The scenes that we saw at the live taping were the opening scene with Maya and Riley in the hallway, the scene that followed that one of all the kids in the classroom, the scene where the kids were studying in the Matthews apartment, both classroom scenes where they go in and switch partners,the Bay Window scene with all four kids, the scene where they discuss their project in front of the class (fun fact Ben and Rowan kept messing up their lines in that one. LOL), the scene where Maya puts the 5 dollar bill where she found it and the boy picking it back up, and the last scene with Maya and Riley in the Bay Window. The rest of the scenes were shown to us on the monitor. I’d also like to add that August Maturo did such a fantastic job in this episode. The scenes he had were some of the most emotional he has ever done. He really did a good job pulling at the heart strings. I thought that Girl Meets Belief was a fantastic episode and I am so glad that the writers touched on this topic. For those that may be curious I’d like to tell you all that my parents raised my sister and I as Catholic. Even though this episode did not mention Jesus it did mention God and I’m so glad that the writers did an episode on this considering that religion is a very sensitive topic to most people. Personally I love that regardless of it being a sensitive topic that they did an episode on it anyway. It wasn’t so much about God but about how you should respect what others believe in which I think was a great way to go about it because disrespecting others religious beliefs is one of many problems in this country. 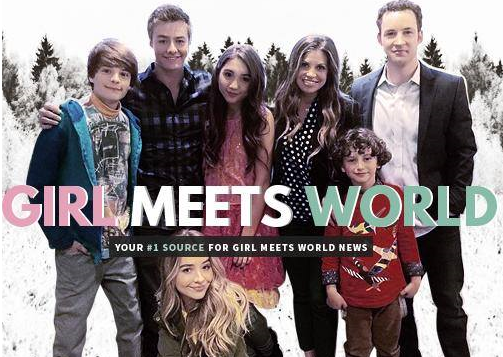 Girl Meets World drew in 2.423 million viewers and 0.6 adults from last Fridays episode. This episode was about Autism Asperger’s syndrome and we thought they did great on this episode. It was a heartwarming and emotional and it spoke to the kids with Autism. This episode was about Asperger’s Syndrome, a disorder on the Autism spectrum. We think that they did a great job on this episode and Mark Blutman wrote it beautifully. It was heartwarming, emotional, and spoke to the audience, especially those on the spectrum. The episode was Farkle centric. Corey and Ceci (Smackle) did a fantastic job in it. We got to meet his mom, Jennifer Bassett-Minkus, who is portrayed by Kristanna Loken from Boy Meets World. She was Shawn’s ex that kept Shawn and Cory away from each other (An Affair to Forget). 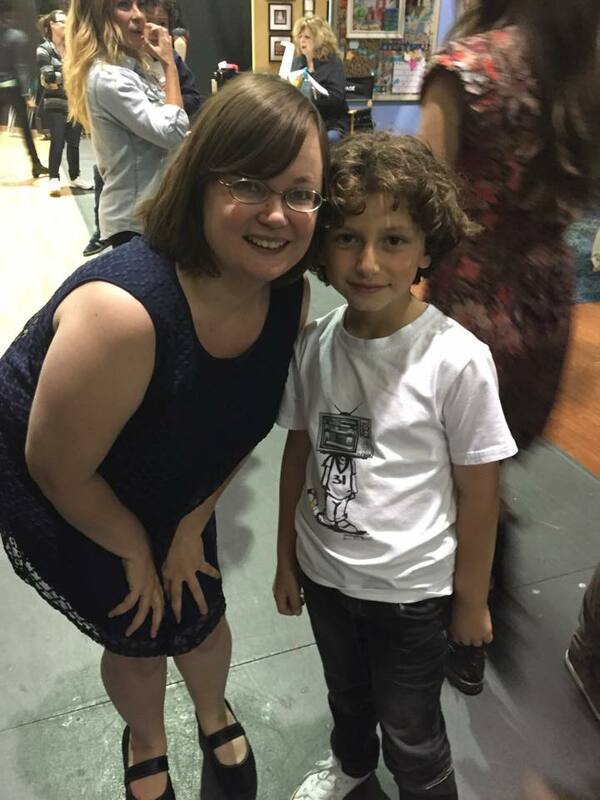 It was nice meeting Farkle’s mom and seeing her with Minkus (although it’s hilarious on how Minkus is with her). The episode opens up in the classroom with Cory teaching a lesson when the class is interrupted by the Guidance counselor who wanted to speak with Farkle. 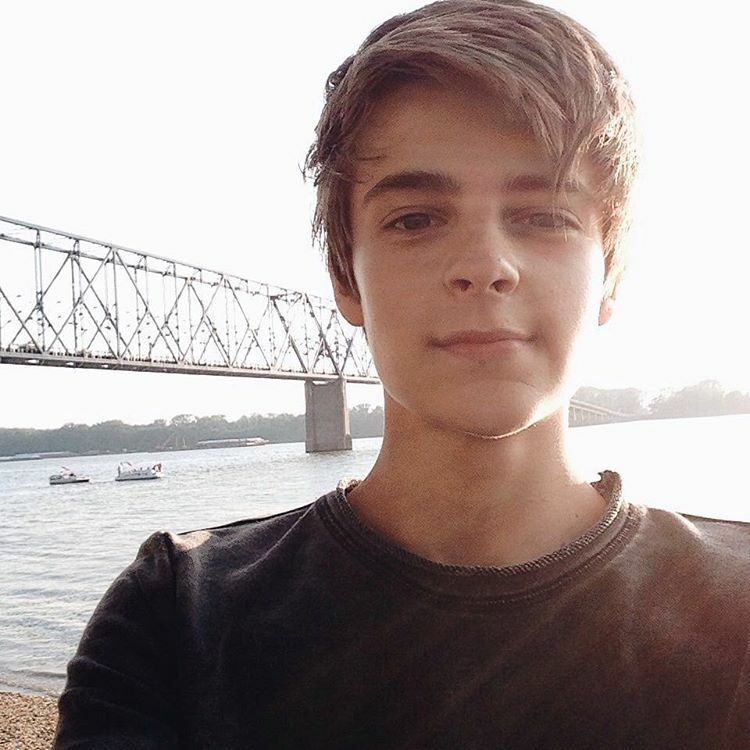 Farkle finds out that he scored very high on the IQ test and was above everyone in his class. The whole class had scored average. The next scene is in Topanga’s bakery where Farkle’s parents and his friends all were celebrating Farkle being a genius. We finally got to see Farkle’s mom Jeniffer Bassett-Minkus who had the birth certificate. She told everyone that they were going to find out if Farkle was a boy, robot, or a clone. It turns out that Farkle is obviously a real boy. The camera pans to Riley, Maya and Lucas (along with the class in the background) who were giving each other money since they did a bet on what the result would be. Towards the end of the scene Smackle shows up and tries to convince Farkle to join Einstein Academy. We love how the writers spoke in this episode about how important art and music is in schools. In this episode the school board of Riley’s school wanted to get rid of art and music. We loved the way the kids used creative ways by singing, dancing and taking down the paintings from the wall to show everyone that the world would be dull without art and music. Maya painted a picture of a door that was a bit opened and Ms. Kossal loved it. Riley had a painting of a purple cat and made fun of her, poor Riley. Ms. Kossal then informed them that Maya’s painting is her last one immediately making Maya worried and she asked Ms. Kossal on what’s going on. Ms. Kossal stated that school is running out of money, and that they’re cutting art and music classes immediately after the next school meeting. After school we see Riley and Maya in the bay window talking about if they are going to do something about the issue with the school pulling the arts. Maya is upset because its something she loves to do and wants to know how they are going to fix it. They decide to go talk to Topanga and she tells them that legally there is nothing she can do about it but tells them to fight for it.